Gabriela Riza is a graduate of the University Of Florida College Of Law where she won an academic award for excellent achievements in the field of immigration. 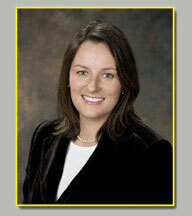 She entered private practice in 2005 focusing on immigration. Originally from the Czech Republic, she is fluent in Czech, Slovak and Polish and has an extensive background in International Law and Eastern European Studies. She is an active member of the South Florida Chapter of the American Immigration Lawyers Association as well a member of the Florida Bar. Mrs. Riza has had articles published in the local newspapers and she represents numerous corporate and entrepreneurial clients with employment-based visas. Attorney Riza advocates prompt and efficient solving of legal matters. She keeps her clients involved and informed about their legal matters. Attorney Riza guarantees that she will handle your legal matter personally.